European planemaker Airbus will study U.S. President Donald Trump’s decision to pull out of the Iran nuclear accord before responding, the company said on Tuesday, adding that this would take some time. IranAir has ordered 200 passenger aircraft worth $38.3 billion at list prices, including 100 from Airbus, 80 from Boeing and 20 from Franco-Italian turboprop maker ATR. All the deals are dependent on U.S. licenses because of the heavy use of U.S. parts in commercial planes. 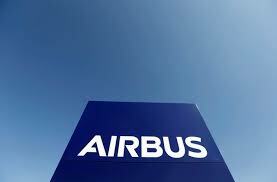 “We’re carefully analyzing the announcement and will be evaluating next steps consistent with our internal policies and in full compliance with sanctions and export control regulations,” Airbus communications chief Rainer Ohler said. “This will take some time,” he added.